TV BANTER . . . with Joanne Madden: Whatever happened to Max Baer, Jr. - Jethro on The Beverly Hillbillies? It looked so promising for Max Baer, Jr. After all, he starred on one of the most popular shows on American television. Yes, Max played Jethro Bodine, Jed Clampett’s dimwitted "nephew" on The Beverly Hillbillies for nine seasons (Although Jethro always referred to Jed as his "Uncle Jed," he was really the son of Jed's widowed cousin, Pearl Bodine). At more than 6 feet, 4 inches tall, Jethro Bodine was really an overgrown child filled with wonderment. Whenever he was happy, he would excitedly proclaim, "Hootttt dawgg!" When the series ended in 1971, Baer was typecast and his acting career never again flourished. In a TV interview on Fox Business, when asked about the impact playing Jethro had had on his life and career, he replied, "I couldn't lose the image even if I tried. I tried for 10 or 15 years just to get away from the character so I could get other jobs. But it was impossible." Born Maximilian Adallbert Baer, Jr. on December 4, 1937 in Oakland, California, he is the son of 1930s heavyweight boxing champion Max Baer and his wife Mary Ellen Sullivan. He has two younger siblings; a brother, James Baer (born 1941) and a sister, Maude Baer (born 1943). Unlike his character Jethro who had a Grade 6 education, Max earned a Bachelor’s Degree in Business Administration from Santa Clara University in 1959. A 1999 article in People magazine relates how Baer rode his motorcyle to Los Angeles in 1960 and entered the Warner Brothers lot. He was signed to a one-year contract even though, as he admitted to People, he didn't know anything about acting. He just thought he could do it. Max Baer spent his early years on televison playing bit parts and guest roles. He appeared on such shows such as 77 Sunset Strip, Maverick and Hawaiian Eye. HIs big break came in 1962 when he auditioned for a sitcom about a family of oil rich country bumpkins living in Beverly Hills. Max had devised a backwoods accent by listing to Andy Griffith records and he was able to maintain a perpetually stupid look on his face. It worked and he won the role of Jethro Bodine. Although The Beverly Hillbillies was critically panned, television audiences loved the show and Max Baer, Jr. became a celebrity. After the series went off the air, the acting roles did not come Baer's way because producers only saw him only as Jethro. In 1972 and 1973, he managed to appear in a few segments of Love American Style, but that was about the extent of the acting work that came his way. A frustrated Max turned to producing his own cheaply made movies and made a great deal of money creating high-grossing, low budget films such as Macon County Line (1974) and Ode to Billy Joe (1976). Max wrote the screenplay for Macon County Line, a film, in which he played a Southern sheriff seeking revenge on two drifters in Georgia. He later directed Ode to Billy Joe, starring Robby Benson, which was based on the 1967 Bobbie Gentry song of the same title. In addition to filmmaking, Baer, Jr. set his sights on the real estate market, investing in condominiums, shopping centres and homes. Unfortunately, his relationships with women, including his marriage, did not turn out as well as his financial investments. In 1966, he wed Beverly Hillbillies extra Joanne Kathleen Hill (also known as Joanna Hill). They did not have any children and were divorced in 1971. Two of Baer's other relationships ended disastrously. In 1970, Max assaulted his then-girlfriend, Victoria Principal of Dallas fame. 35 years later, he told the New York Daily News that he had no regrets about hitting her because "she deserved it." He admitted to the Daily News that he slapped the Dallas star on Sunset Blvd. Displaying no remorse, Baer said that he was arrested but that charges were not pressed. On January 24, 2008, Baer's girlfriend, Chere Rhodes, committed suicide at his Lake Tahoe home. The 30 year-old Penthouse model shot herself in the chest and died three days later. Police said no foul play was suspected and a handwritten suicide was found. In 1991, Baer purchased the rights to the "Beverly Hillbillies" name from CBS. This means he has permission use the show's theme and its characters for casinos, theme parks, restaurants, cosmetics and consumables. As a result, he is involved in International Game Technology's licensing of Beverly Hillbillies-themed slot machines. In 2003, "Clampett's Cash," "The Bubblin' Crude" and "Moonshine Money" began appearing in Native American casinos. For many years, Max has been trying to build Jethro's Beverly Hills Mansion and Casino in various Nevada locations. His plans for the grandiose venture include such amenities as Granny's Vittles and Hog Jowls Coffee Shop, a bakery called Elly Mae's Buns, Jethro's "All You Kin Et" Buffet and Granny's Shot Gun Wedding Chapel. The ambitious project, however, just can't seem to get off the ground. Max Baer, Jr. made news in 2005 when he objected to the portrayal of his father in the Ron Howard movie, Cinderalla Man. 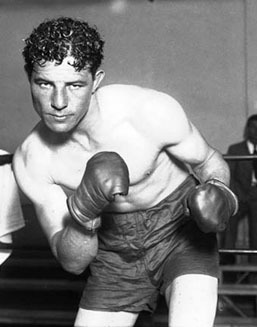 Max Baer, Sr. was a controversial figure because he had a reputation of being extremely vicious in the ring. Although Baer, Sr. had been raised a Catholic, his father, Jacob Baer, was Jewish and Max was regarded as a hero by many Jews. In June of 1933, he defeated Hitler's favourite boxer, German heavyweight, Max Schmeling, at Yankee Stadium. He infuriated Hitler by wearing a Star of David on his boxing trunk. Baer, Sr. who died of a heart attack at age 50 on November 21, 1959, was depicted as a villain in Cinderella Man, a film about Depression-era boxer James J. Braddock. Braddock, played by Russell Crowe, was the hero of the film. His adversary, Max Baer, Sr., was presented as an ogre who laughed about killing two opponents in the ring. Max, Jr. felt that the film was disrespectful to the memory of his late father and he vehemently protested. He maintained that the elder Baer was deeply affected by those ring deaths and used his winnings to provide financial support to the families of both victims. For a while, it was Jethro versus Richie Cunningham as Baer chastised Howard in television and radio interviews. To watch a video of an interview with Max Baer, Jr. on Fox Business, click on the link below. To watch a video of a Las Vegas video with Max, click on the link below. 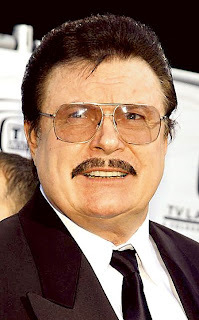 EDITOR'S UPDATE (January 3, 2015): Max Baer, Jr. celebrated his 77th birthday on December 4, 2014. His castmate, Donna Douglas, who played Elly May Clampett on The Beverly Hillbillies, passed away on New Year's Day, January 1, 2015. The actress was born on September 26, 1932 (some sources say 1933) in Pride, Louisiana. She died of pancreatic cancer in Baton Rouge, Louisiana. Thanks for the info. Is the Casino up & running yet in 2014? What a l-o-n-g battle! Casinos everywhere else are just popping up like mushrooms. I still watch the reruns & have the "54 episodes on 6 DVD Set". I'm 55 and still towards watching the best show in the world. The casino project is dead and will not be happening. Max Baer gave it his best, but the years took their toll on him. He's happy to say that he at least tried! Good job Jethro! Does Mr. Baer still live in Lake Tahoe? To me he was a good actor but he just got type cast and couldn't shake it. I live in Lake Tahoe and ran into Max in my Grocery store and we chatted for some time. Stupid people think he is broke, but far from it. He lives in a hilltop beauty overlooking the lake, and makes his $$$ in real estate and directing residuals. He is in prime shape, goes to the gym almost every day and is such a down to earth gentleman. He has at least 3 other homes but prefers the one here in Tahoe, on top of the world. Great to hear Max is doing well in Lake Tahoe. Mazel Tov Max !! I have never laughed so hard as I did watching Jethro the astronaut take off, powered by Granny's tonic........."somewhere over Catalina", IIRC. I literally rolled off the couch. Mr. Baer took Curly Howard to the next level! I was rooming with a friend shortly before he was married and kicked me out - go figure!- and we had both come in from work and that very episode was on the tube. He did the same as you. Tears were streaming down our faces and I couldn't breathe. TBH wasn't Masterpiece Theatre but it was damn funny. My favorite Jethro moment: when the director of his school comes for him in the morning, she thinks "Jethro" is a little boy and has a surprise of a lifetime when she sees this 6'4 feet tall man...! My brother n' I want to wish Max a Happy Birthday!!! The Beverly Hillbilly's was my brother's favorite show!!! I grew up watching the re runs. Scoobydoo the Brady bunch then the hillbillies every day after school. Thank you for the memories. I love the Beverly hillibillies and I am dad at Donna Douglas passing. I am sad that most of the cast are now dead. All of them hold a special comic place in my life. They are missed. As we just lost Ellie May, Donna Douglas, He's the last. All the best in 2015! You always made us all enjoy the show. :-) Take care of yourself Sir. I am sorry to hear of the passing of Donna Douglas, I enjoyed watching the show. I think your father was a great fighter with courage to fight Joe Lewis. I watched the fight a few weeks ago from film footage I have, good fight. Keep going strong. Max Baer's Macon County Line is a great movie! He did this one himself even using his own money, writing, acting, etc. It has made him many dollars. Too bad the casino thing didn't work out. I had it on my list to go to. He's a fine man. Really surprising that Hollywood did not give him a chance to produce more movies since he made so much money on the films he produced. A fine man??? A six foot four man feels the need to slap a woman half his size? And doesn't feel bad for it 35 years later because 'she deserved it'?? Yeah, that's a fine man, all right. Yeah, a real hero. I suppose Baer was a product of his Neanderthal generation, as regards women. I was appalled to read of his history with females. He must have been awful to be with--as a woman. I enjoyed him as a child, watching the "Hillbillies," but wouldn't want to meet him today, knowing of his attitude toward women. Sad. I love that show watching it right now on Me tv .Thank you for all the yrs of making me laugh. I LOVE WATCHING THE BEVERLYNHILLBILLIES ON ME TV!!! we just found a VHS of the first yr of the Hillbillies show. laughed so hard. going to try to find the rest of the series. Buddy Ebsen was quite a character he would have been funny and entertaining in anything. The whole cast was great. Make a drink, and relax by the cement pond!! His brilliance showed when he turned 1972 dollars (100,000.00 ) int 35 Million. I loved his Dad And He wuld have been so proud of all Maxamillian accomplished in his life! Can anyone comment on what happened to the Beverly Hillbillies Motel chain? How thoughtful of you. I just saw him a week ago at the Hollywood show: where he appears four times a year at the Westin Hotel right beside LAX. Go to the Hollywood Show site and send an e-mail to the organizer. His name is David. 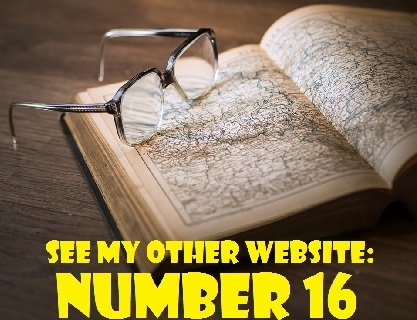 If you don't have that ability, let me know and I will keep an eye on this site try and contact him for you. Jethro - 1 times not is not, 2 times not is not, 3 times not is not. Jed - Boy listen to that boy cypher. I can understand Mac's typecast image. I would never think of him as sk someone else. Personally I don't think his acting was superb enough to change anyone's mind. Does anyone know how to reach him? Such as a letter or email? I do not know Max personally and have never contacted him. Max used to come into Buehler's Mercantile and help me pass my work day with great conversation and stories in the mid 80's. Tell Max hi and I hope he's well. Just saw Max yesterday we go to the same Eye Dr. in Carson City, Nevada he looks great. Max a good friend of mine back in the 70s. He would send me flowers and if I was sick have my meds sent to my house. As years went by he would call me now and then on holidays wishing me well. I hope your doing well dear friend. His story sounds so sad though. Not so much from an acting profession standpoint as he seemed fairly successful in business perhaps his real.calling. But sad that he seemed to have had a very difficult and unhappy personal life like so many men trying to find who they are, self worth and identity etc in the elusive pursuit of the empty success in the world which so many of us including Donna Douglas (Miss Ellie) found only in a love relationship with God through Jesus.. I pray Max will find peace and contentment knowing all our true heart's contentment and fulfillment is a free gift- not of religion- from Daddy God's heart of love for Max and all of us. Regardless thanks Max for many delightful and laughter-filled evenings with your TV family to ours. Bless you Max with all your heart's fulfillment and desires. Please do not drag Jesus into everything. I was raised in a mainstream Christian religion, and find this sort of thing embarrassing. Empathize with Max Baer, Jr, and leave it at that, please. Wow- what bitter and sad reply to someone who meant so well. That's right, Jethro had a sixth grade education, and don't you go making fun of it. It took him 12 years to get it. I grew up with the show(Beverly Hillbillies.Still can laugh as if the first time viewing. Perhaps one of these days they will do a Beverly Hillbillies Marathon on television. It was such a funny show. Was max st even alive in 1950? Max Sr. died on November 21, 1959. Car Fax can tell you all about your cars history--they just need the vin number. Just wanted to say your casino in carson city, NV. love that place thanks. Joanne lives in my neighborhood.she is a delightful lady.